Mango's launch in 2006 was marked as one of the largest e-commerce events at the time, with more than 10 000 flight requests clocked per minute during its first two days. Benchmarked against international best practice in the low cost carrier sectors, they have operated with the best on-time performance in South African skies for the past 6 years and continue to have the lowest cost base domestically - allowing for continued affordable fares. They operate a fleet of new generation Boeing 737-800 aircraft with a seating capacity of 186, which are maintained by South African Airways Techinical. 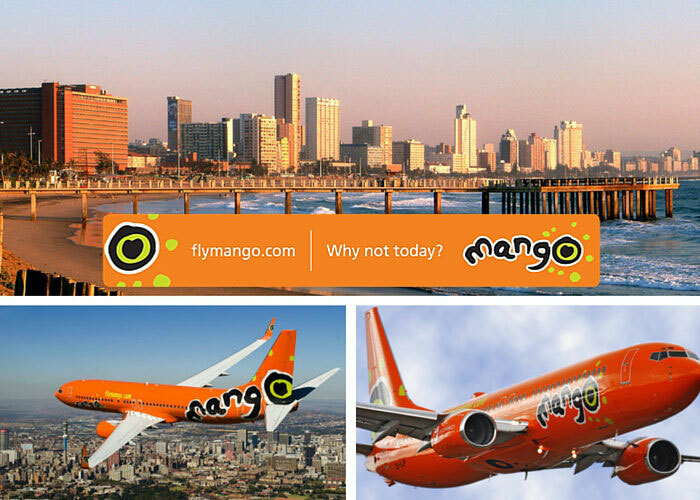 Known as South Africa's most innovative airline, Mango is the only African airline to offer on-board Wi-Fi, and were the first to offer booking and payment facilities via their mobile app. Mango continues to partner with Expresso, making sure our presenters and guests always fly in comfort and style.